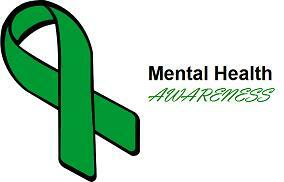 Did you know that more then 40 million people right here in the land of the free are suffering from an anxiety disorder? And another 20 million suffer from depression? Besides the cost to the economy from these terrible diseases is the fact that human suffering seems to be endless. This is why May 4 – 10 of 2014 was created. To focus on the individuals that have been suffering with anxiety and depressive disorders and help then find treatment they need. Register in National Anxiety and Depression Awareness Week and you will receive materials that can be used towards organizing an event during this week. Even if you cannot organize an event, the materials are instrumental to mental health professionals, colleges, hospitals, employee assistance programs and all types of health establishments. The materials included in the package can help assist in educational programs, training workshops about depression and anxiety and information about local health fairs and more. Remember even if you do not organize an event these materials are great educational tools for anyone who might want to learn more about depression and anxiety in order to help others. I have visited a immeasurable blogs but you are the simplest that I even have ever seen, its extraordinarily amazing. Anxiety is a terrible condition and may take over your life. However, there area unit some positive aspects of being AN anxious person, together with character traits that may cause you to think twice about a co-worker or friend. Well sadly that can happen even when you don’t have anxiety.